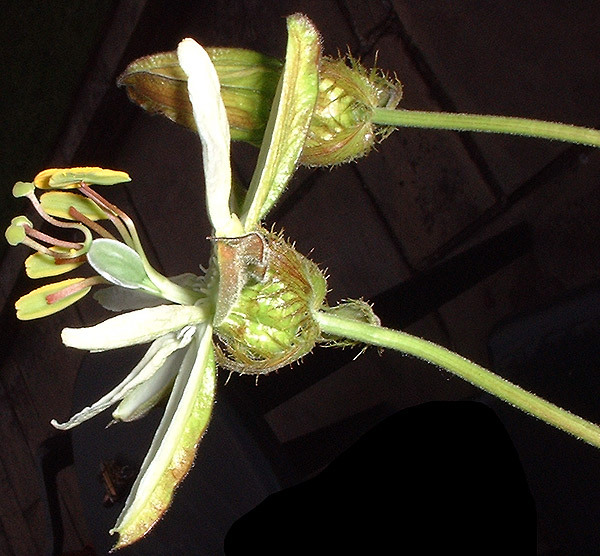 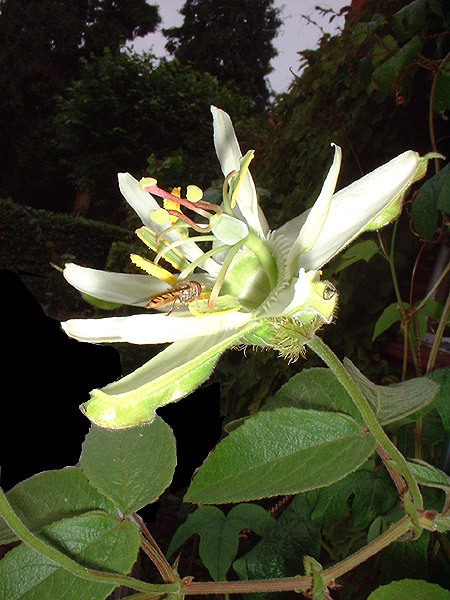 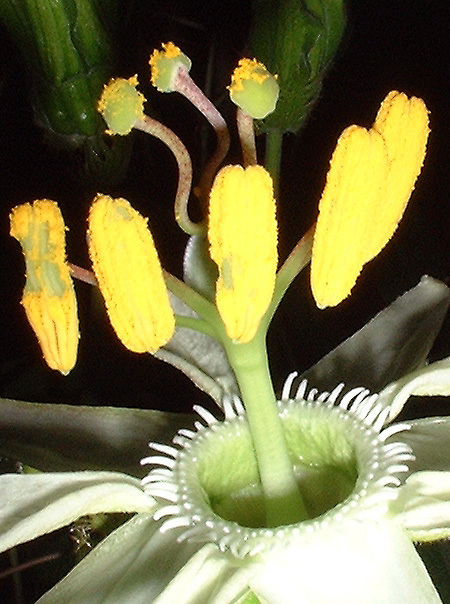 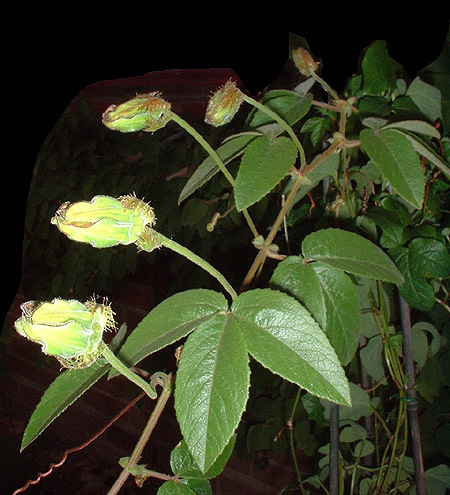 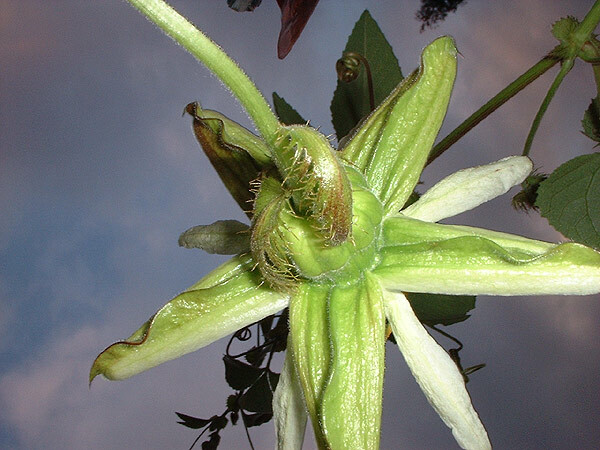 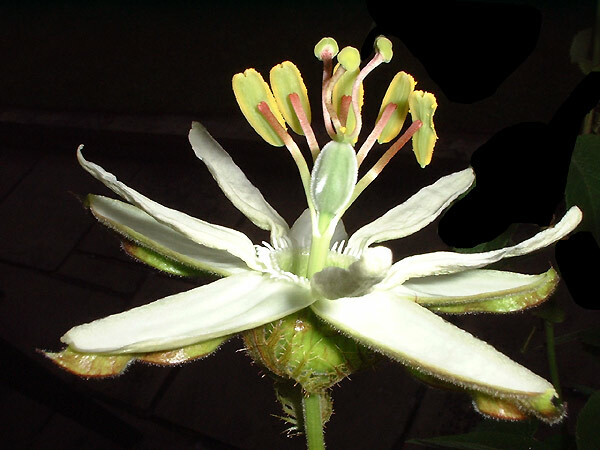 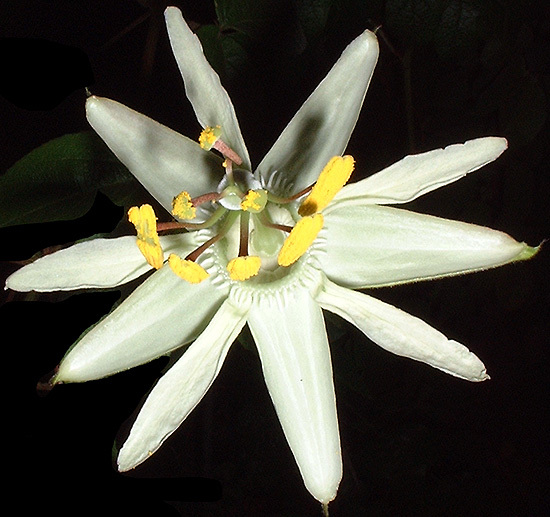 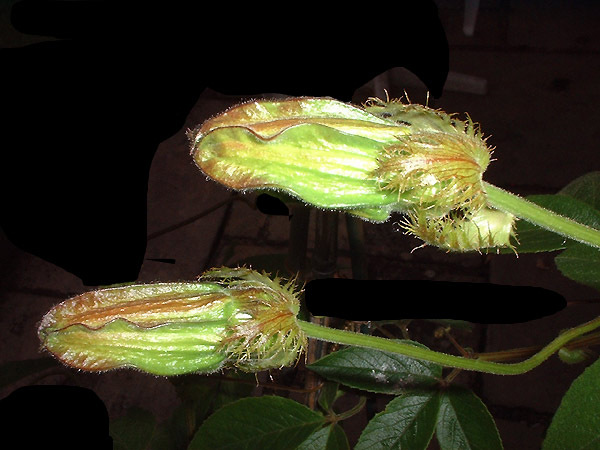 Passiflora trisecta is thought to be primarily bat pollinated. 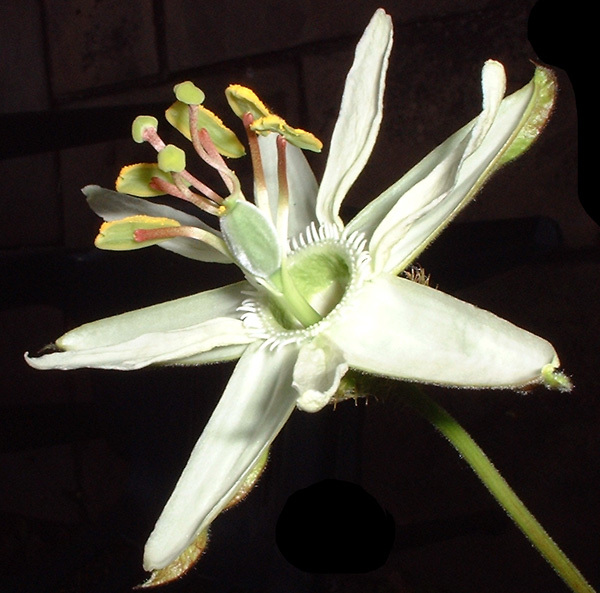 The perfumed flowers are fully open by 8pm & closed by 8am. 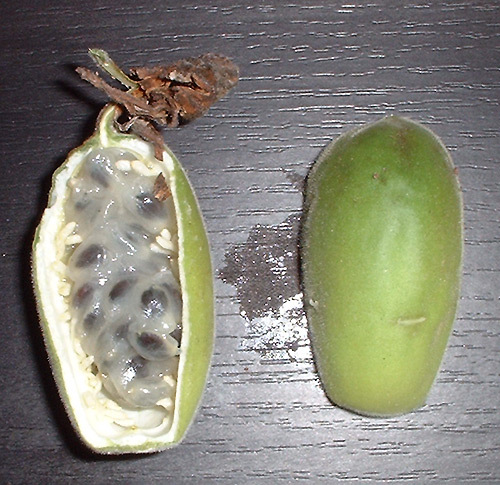 The fruit & seed appeared to develop fully when crossed respectively with Passiflora caerulea & Passiflora ‘Purple Haze’, sadly all the seed were empty. 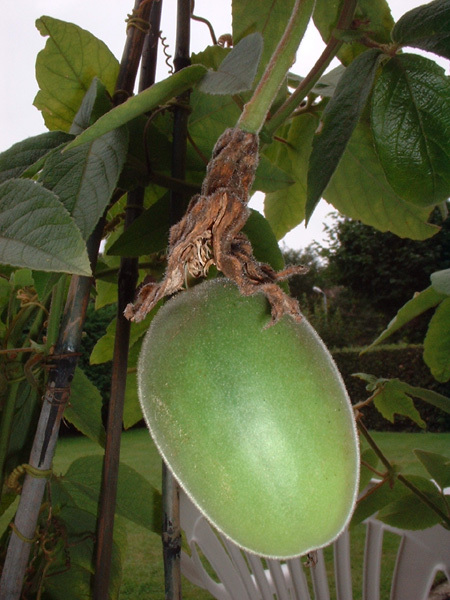 The fruit have a slighty odd smell..matched by its astringent taste..not recommended.